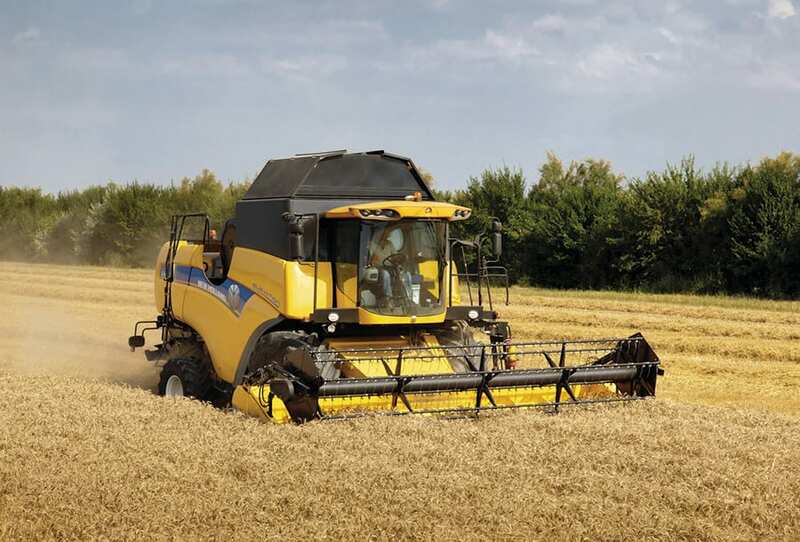 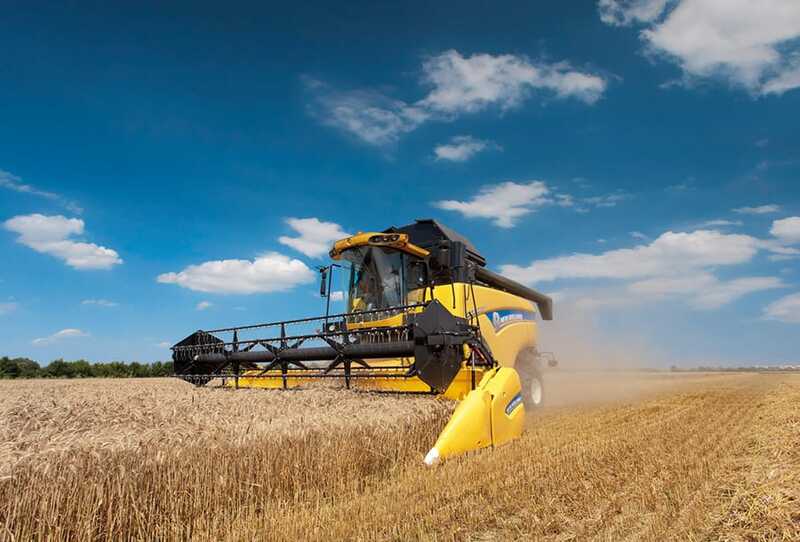 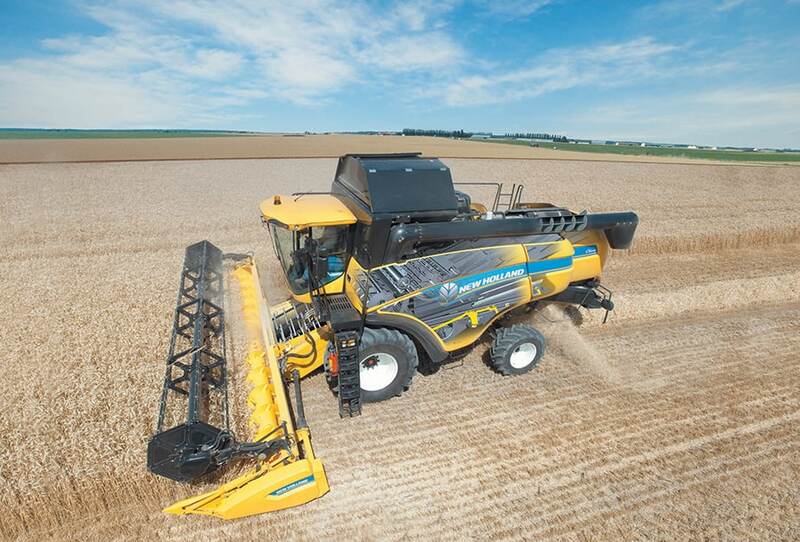 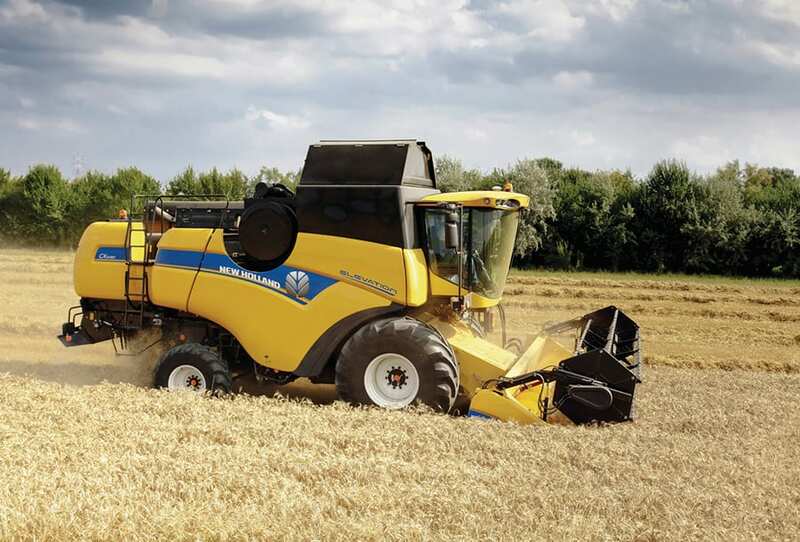 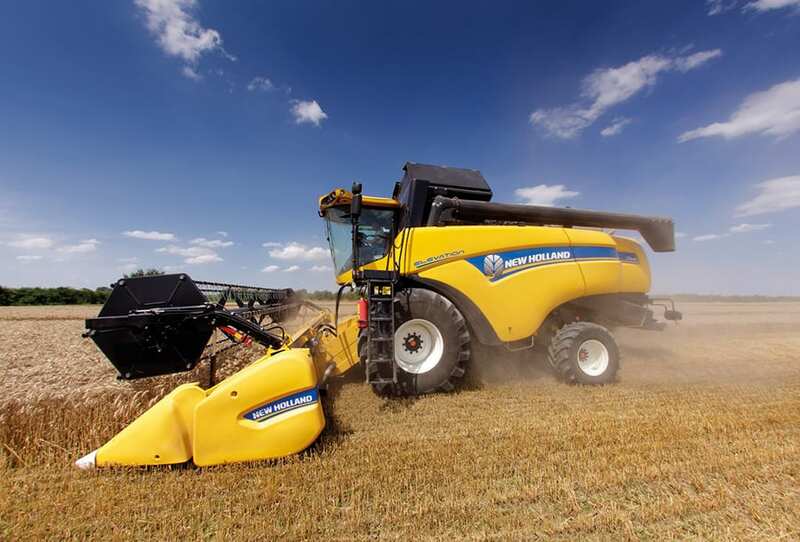 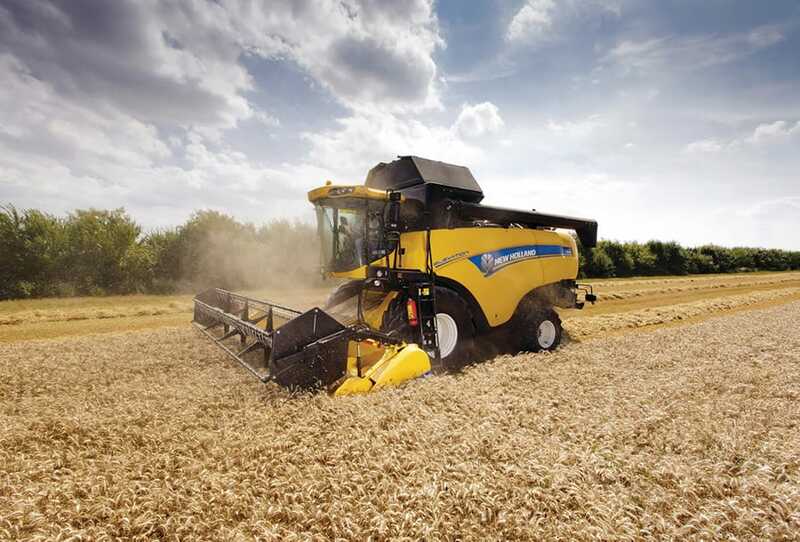 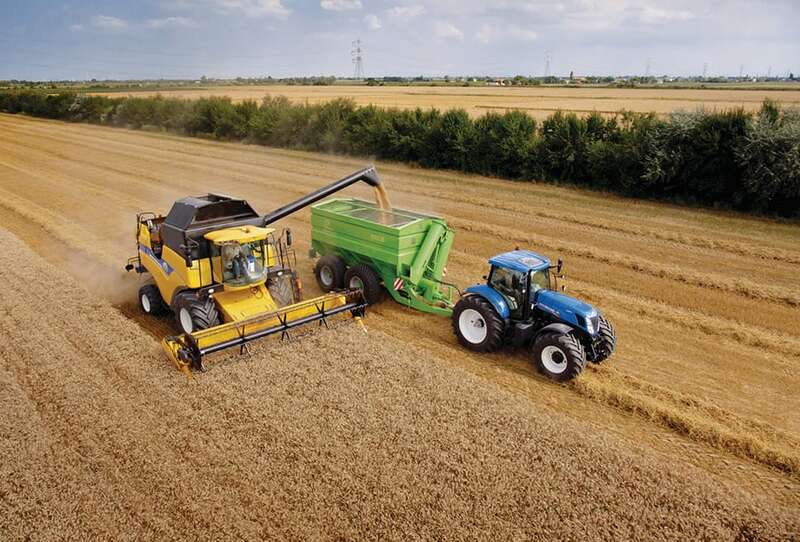 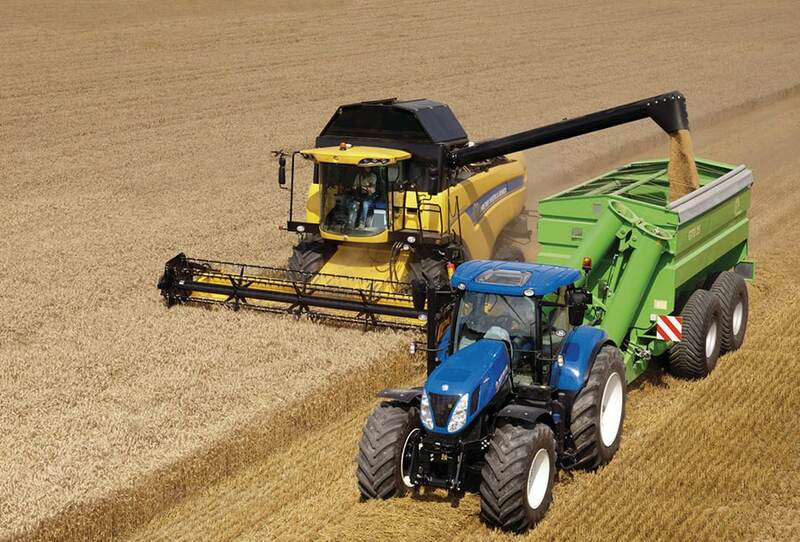 For a combine operation in severe hillside conditions New Holland offers the Model CX5090 Elevation Hillside. 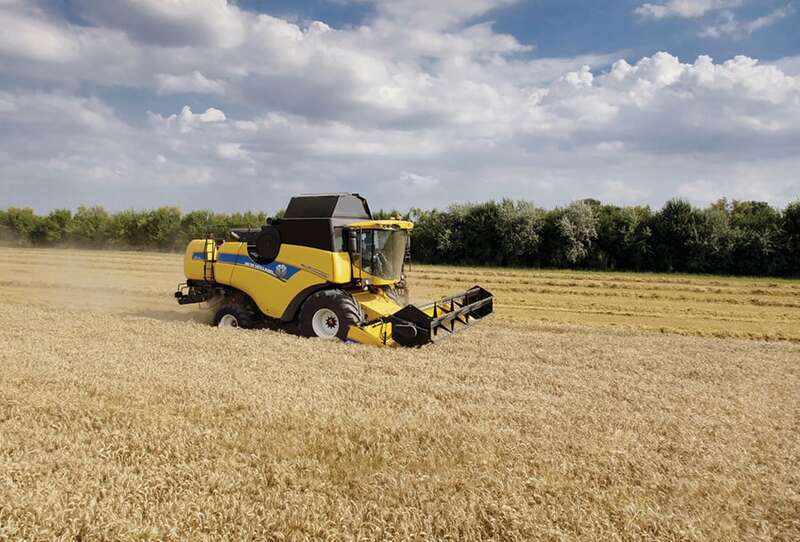 Efficient operation of the separation and cleaning systems is ensured by two independent hydraulic systems: one for lateral slope correction and one for levelling the longitudinal axis. 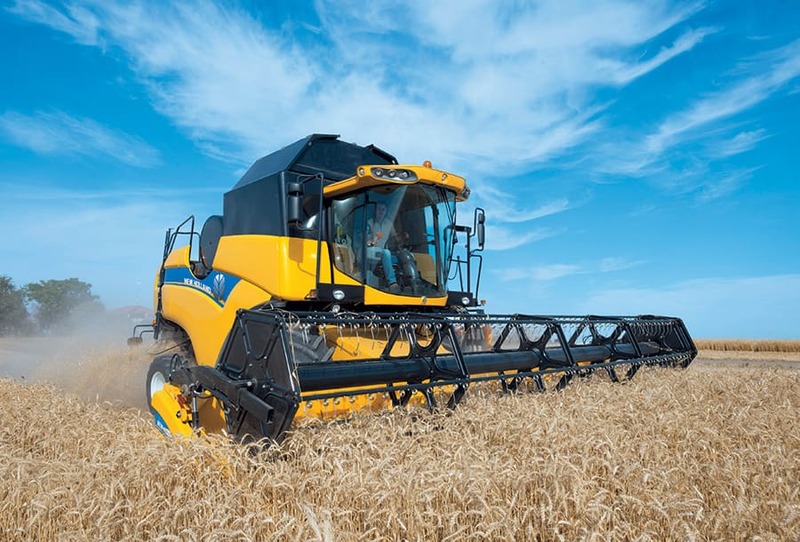 Safety and field efficiency are increased as the traction wheels remain vertical at all times. 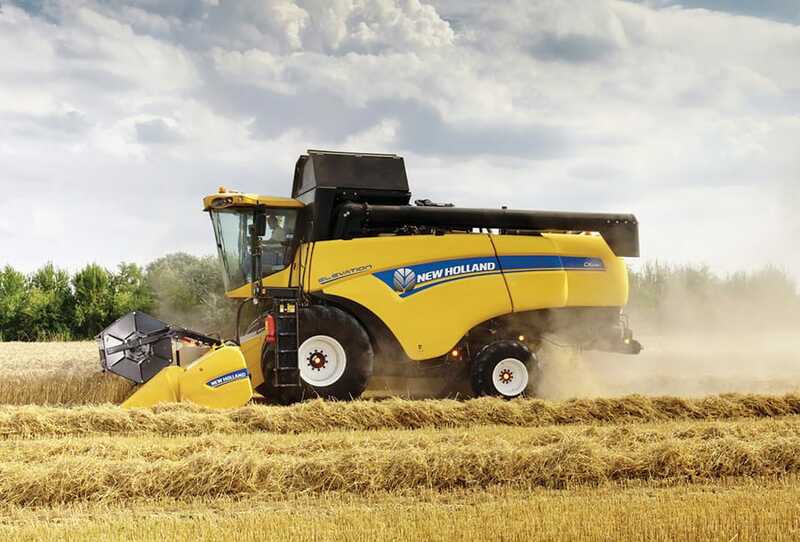 A powerful engine producing a maximum power of 300hp(CV), a heavy-duty hydrostatic transmission and the large disc brakes ensure optimum performance and safety in the field. 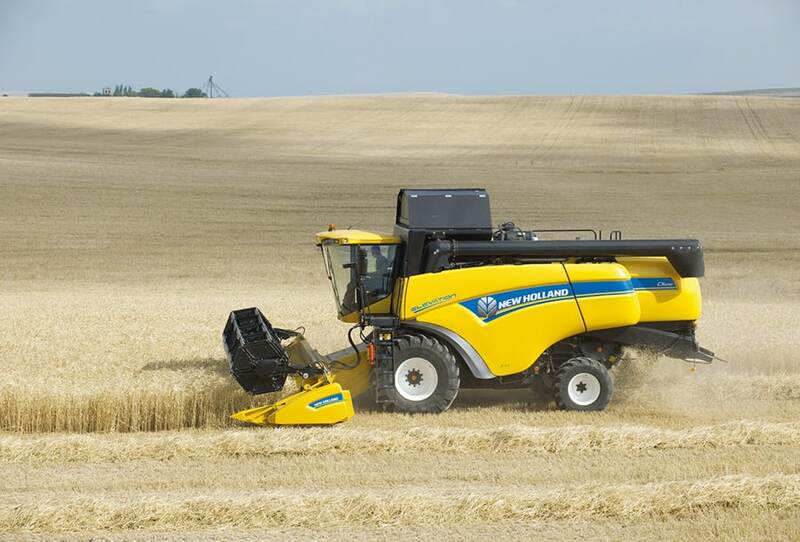 Hillside combines are also available in a narrow version with a maximum overall width of 3.5m.